Paul Dee started out at the University of Miami by obtaining his Masters degree in Education in 1973 and his Juris Doctor degree, with honors, in 1977. 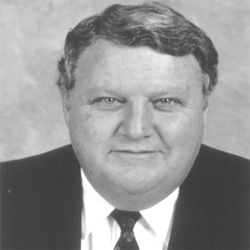 Paul began his professional career at the University of Miami in 1981 as Vice-President and General Council and was then appointed Athletic Director in June of 1993. During Paul's tenure as Athletic Director the University of Miami has won three team national championships, Baseball in 1999 and 2001 and football in 2001, and many individual national championships and has been a dominant program in the Big East Conference, winning 23 team championships and numerous individual championships. Paul has hired some of the nation's best coaches who have gone on to win Coach of the Year honors, including Larry Coker and Jim Morris. Since 1993, the University of Miami athletic program has seen an almost complete makeover of its athletic facilities, including the construction of new football practice fields, Cobb Stadium, for track and soccer, women's basketball offices, academic study hall facilities, weight training facility, new locker rooms for track, soccer and volleyball, football meeting rooms and the Bank United Center for men's and women's basketball. He has also undertaken the renovation of the football locker room, equipment and training rooms. During his nine years as Athletic Director, Paul has been active in the NCAA serving on several committees including the Committee for Certification, the Management Committee and the Committee on Infractions. Paul was very active in the Big East, serving on the Executive Television Committee and was the Chair of the Big East Football Conference. Dee will be best know for his guidance of the University of Miami from the the Big East Conference to the Atlantic Coast Conference. Paul retired as UM's athletic director in June of 2008.